While this may seem like a lot to pay for a gallon of gas, just four states have lower gas prices than Colorado – Montana, Utah, Wyoming, and New Mexico, according to AAA’s Fuel Gauge Report. If the prices seem to be a hindrance to the economic recovery here, consider the challenges that families are facing in California where the average price per gallon is $3.91 per gallon. To put it in perspective, the 2013 Ford Explorer XLT gas tank holds 18.6 gallons of gasoline. When a family in Colorado fills up its Ford Explorer, it costs approximately $59. But, when that same family fills up its gas tank in California, it costs nearly $73. Over the course of a month, driving to and from dance lessons, soccer practice and school, that can make a big difference in a budget. 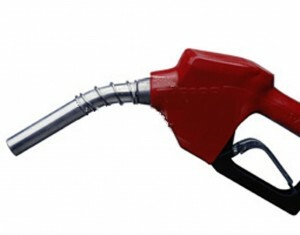 In fact, this morning, CNBC noted that every one cent increase in gas prices costs consumers $100 million per month. Colorado families already pay approximately 23 cents per gallon of gasoline in taxes. When Democrats starting talking fuel tax increases, as they did in the TBD report, Colorado’s families would do well to say no thank you.